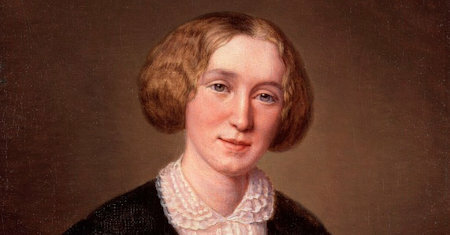 George Eliot's first attempt at fiction, and one that fixed her career. It has qualities of humour and tenderness that have not often been equalled. It has a particular value as a record of an English country life that is rapidly passing away. A historical novel set in the fifteenth century. Romola is the female protagonist through which the story is rendered; her intellectual growth, often painful, reflects the religious and cultural transitions of the Italian Renaissance in Florence. A dark fantasy drawing on interest in the physiology of the brain, mesmerism, phrenology, and experiments in revification, it is Eliot's anatomy of her own moral philosophy. The story explores fiction's ability to offer insight into the self. A tale of gold, love, and betrayal, featuring a weaver, Marner, who becomes a recluse, focusing his affections only on the golden coins he earns for his work. Fate steals the treasure from him and replaces it with a golden-haired child. A carpenter is in love with a woman who bears a child by another man. He eventually loses her but finds happiness with a Methodist preacher. Adam Bede was Eliot's first long novel, the combination of rigorous moral judgment and deep human sympathy. In this story the author recreates her own childhood through the story of the gifted Maggie Tulliver and her spoilt, selfish brother. Though tragic in its outcome, this comic novel combines vivid images of family life with a portrait of the heroine. Intelligent and wonderfully sophisticated book with sharp commentary on many social issues of the time. Wonderfully imperfect characters are caught in the webs of dilemmas. Their behaviours are quite coherent with their subcultures and characters.